Increase productivity while better protecting employees and vital material assets by improving access to hard-to-reach places with crossover platforms from Safe Harbor Access Systems. A crossover platform allows a person to safely walk over busy work areas, heavy traffic, obstacles or hazardous environments instead of having to go around or through them. A well-placed crossover platform can also shield equipment, conveyors, and pipes from foot traffic damage, reducing process system maintenance costs and production downtime. Start Building Your Platform Now! Leg kits available for spans greater than 90” in length. Safe Harbor Access Systems crossover platforms are an ideal solution for any situation in which obstructions are common or access is needed, including aviation, energy, petrochemical, manufacturing and rooftop applications. Assembly is simple and does not require welding or additional fabrication. 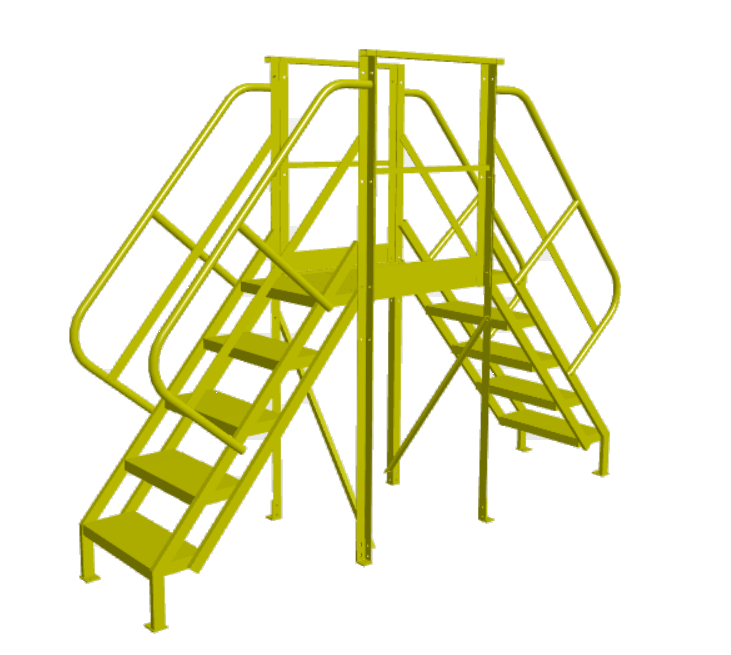 Create efficient, safe passage at your facility or job site with dependable crossover platforms from Safe Harbor Access Systems. Our experts are available to help solve to your access needs. Safe Harbor's crossover platforms will help keep your employees safe and your company up with OSHA fall protection regulations. If your industry requires a customized solution, contact us today.